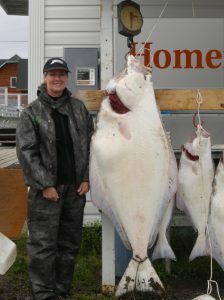 Did you know that Homer is the halibut fishing capital of the world? 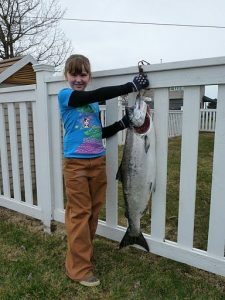 Reel in the experience of a lifetime and the best catches when you embark on one of our Homer fishing charters. 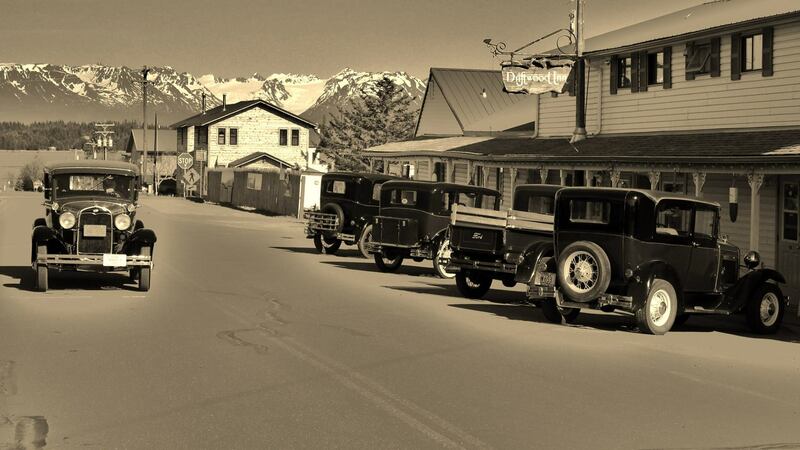 At Driftwood Inn, we get to delight in our area’s bounty daily. 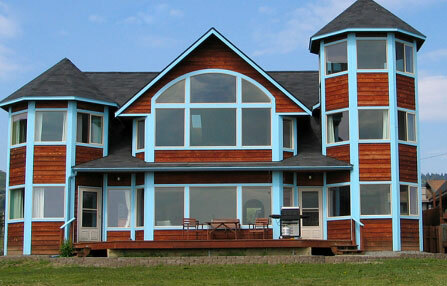 We want to extend Homer’s amazing, unique features to our guests year-round. 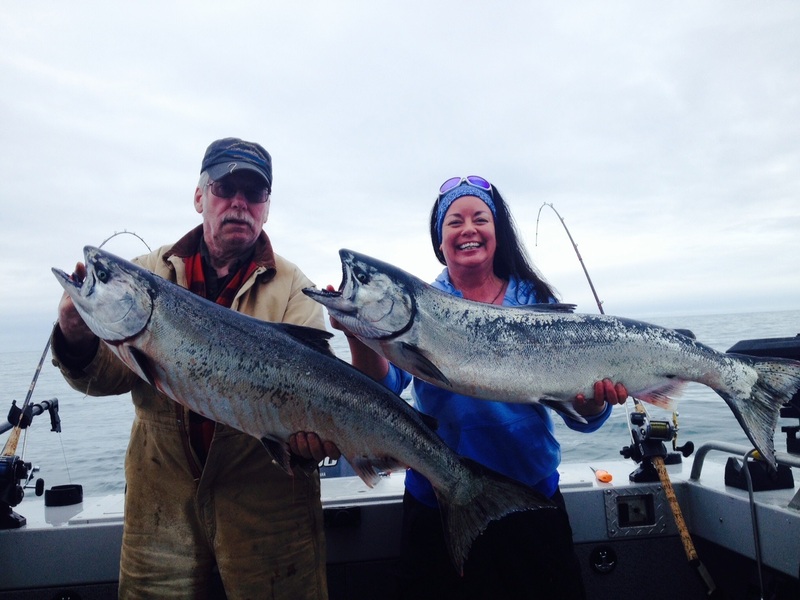 To do this, we highlight Homer’s world-class fishing with our Homer fishing charters! 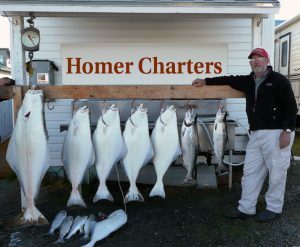 Our Homer fishing charters were crafted to give you the holistic maritime experience. 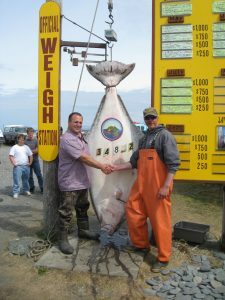 Gaze in awe at our pristine Alaskan waters as you learn everything there is to know about our area’s world-class fishing from experts. 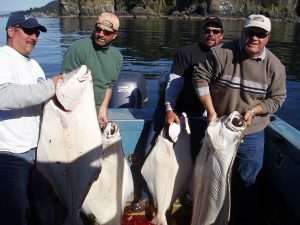 The Captains who lead our fishing charters have an abundance of maritime experience in Alaskan waters. Each Captain we book with is U.S. Coast Guard Licensed and each vessel is equipped with essential equipment with your safety in mind. 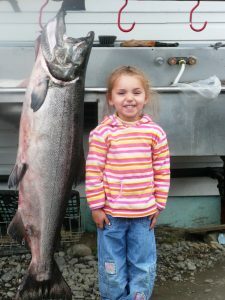 Our Homer fishing charters let you learn from the best about winter and summer Alaska king salmon and halibut fishing. Our seasoned Captains are here to aid, educate, and make sure you have a fishing experience unlike any other. 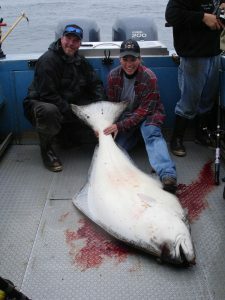 Our packages include Homer halibut charters, Homer salmon fishing, or a combination. We primarily book six-pack boats that accommodate up to six passengers. 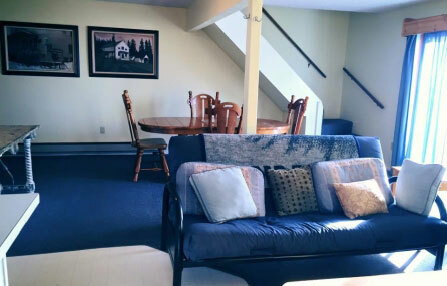 However, we do work with larger parties with other options. 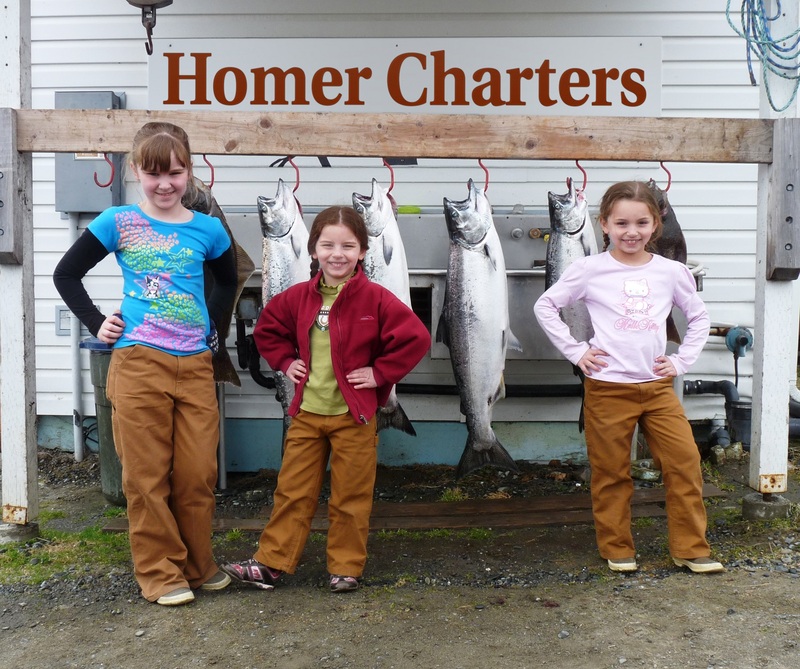 After all, we want everyone to experience Homer fishing! 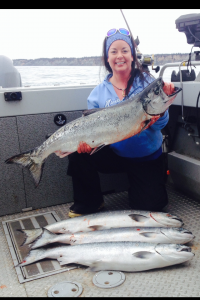 Salmon Fishing charters are booked year-round, even for our winter months, with a minimum of $500 to leave the dock. 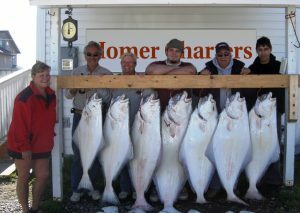 Our Homer fishing charters are perfect for every guest. 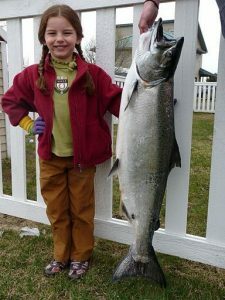 Whether this is the first time you’ve gone fishing or the hundreth, we know you'll enjoy your experience ocean fishing. 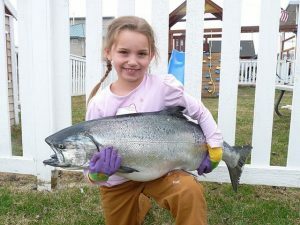 Have fun as you learn all about ocean fishing, our area, and its marine life amid waiting for it to bite! Learn even more about how to experience Homer like a local during your getaway with our specially curated Vacation Guide! 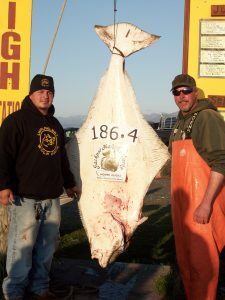 Full-day fishing charters depart from the harbor at roughly 5:00 to 7:00 a.m.
Half-day fishing charters departure time varies from 5:00 a.m. to 5:00 p.m., depending on the tide. Check in the night before to confirm. We recommend you bring a sack lunch, beverages, layered clothing, rain gear, and camera. Boots are not necessary. 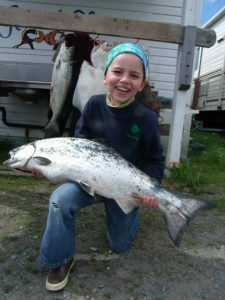 Be sure to purchase a fishing license and a king salmon stamp if salmon fishing. 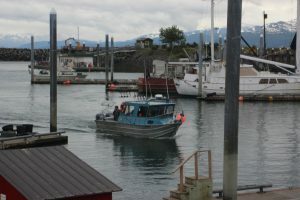 Fishing licenses must be physically present and may not be in an electronic form. Half-day Charters: $169 - 225 (based upon availability). 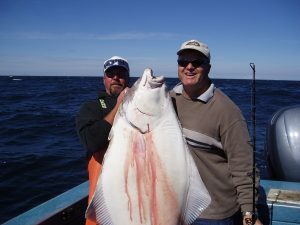 3/4 -day Charters : $190 - 300 ( based on availability). Rates do not include the general sales tax. 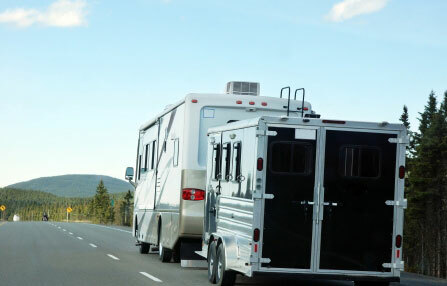 Should your plans change, you must give 30 days notice to receive a full refund of your deposit. If something unforeseen comes up and you fail to cancel in the allotted time period we will make every attempt to re-book your seat on the boat. If we are able to re-book your seat, you will receive a refund less a 5% ($5.00 minimum) processing fee. If the captain cancels the trip prior to launching due to weather, you will receive a full refund. If the boat goes out but must return due to weather prior to fishing, you will receive a 90% refund. If the boat goes out but is forced to return once fishing has begun, you may receive up to a 50% refund. NO Show/NO Call: Please check your confirmation carefully; if you cancel within 12 hours or do not show; 100% will be charged.